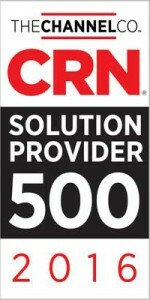 Maumee, OH – Aktion Associates, Inc., a leading IT consulting and technology integration firm, announced today that CRN®, a brand of The Channel Company, has named Aktion to its 2016 Solution Provider 500 list. The SP500 list is CRN’s annual ranking of the largest technology integrators, solution providers and IT consultants in North America by revenue. Aktion Associates provides industry consulting services and high-performing, transformational technology solutions architected to support business strategies. The world’s largest technology innovators including IBM, HPe, Microsoft, Sage, Intacct, Infor and Acumatica choose to partner with Aktion. More than 4,000 clients reward us with their partnership and choose Aktion as their technology advisor. Headquartered in Maumee, Ohio, Aktion Associates has satellite offices in Cleveland, OH; Charlotte, NC; Chicago, IL; Columbus, OH; Pittsburgh, PA; and Tysons Corner, VA. Follow us on Twitter @AktionFigures. Connect with us on LinkedIn.